Brazilian Bum Bum Cream. This lotion is supposed to help tighten and tone your skin with caffeine. I am obsessed with how good this smells and how thick and moisturizing it is. 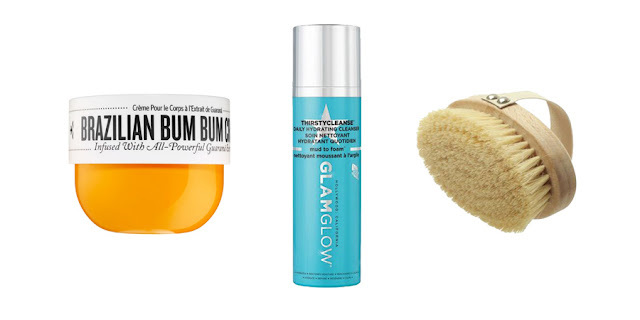 Glamglow Thirstycleanse Daily Cleanser. This is one of the best cleansers I've ever used. It starts out as a thick mud-like consistency and as you rub it on your face it turns into more of a foam. I feel like it gives my face a really deep clean without being harsh on my dry skin. Dry Skin Brush. I've been reading about the benefits of dry brushing a lot lately so I decided to pick one up and try it out for myself. So far the only difference I've noticed is that it makes my skin smooth and feels good. Sherpa Zip-Up Sweatshirt (On SALE right now for only $25!!) I love fuzzy things so it was necessary for me to buy this sweatshirt. Fuzzy Llama Socks. Fuzzy socks are a necessity for cold Wisconsin winters. 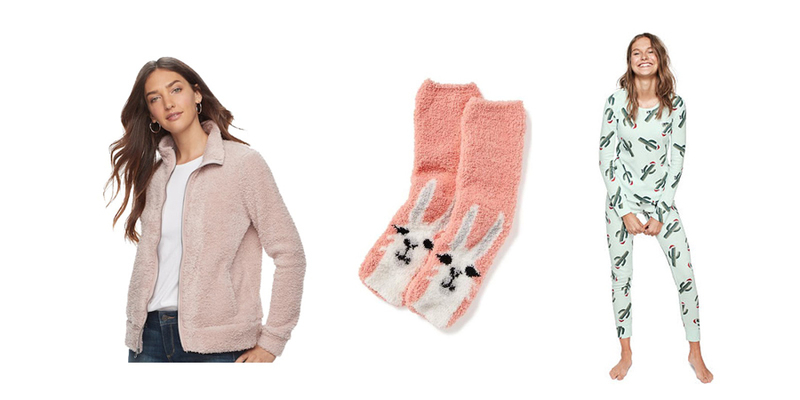 Old Navy has the cutest designs and they do sales where they're only $1! I am obsessed with my llama and bunny ones. Victoria's Secret Cactus Christmas Pajamas. Madi and I get matching Christmas pajamas every year. 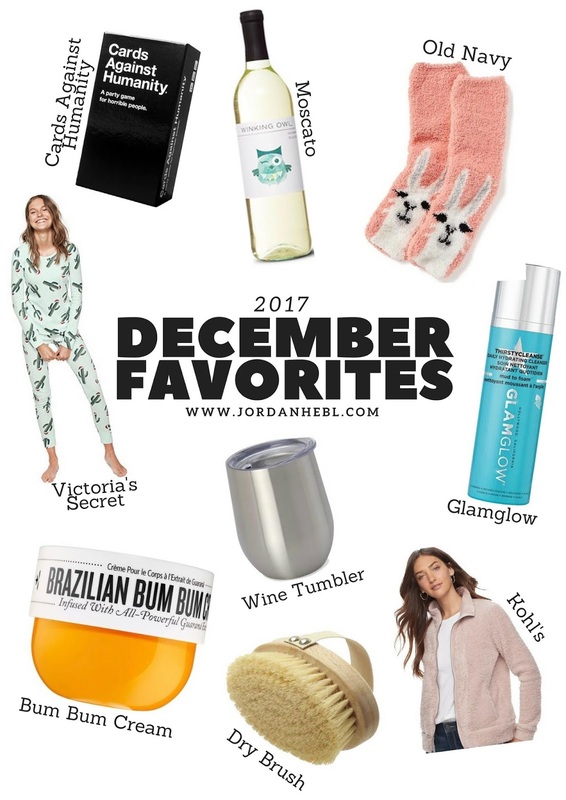 This year we got thermal pajamas from Victoria's Secret PINK that have Christmas cacti all over them! Cards Against Humanity. My mom decided to start hosting family game nights this month and we had our first one right before Christmas. I'd never played Cards Against Humanity before and we definitley had some good laughs! 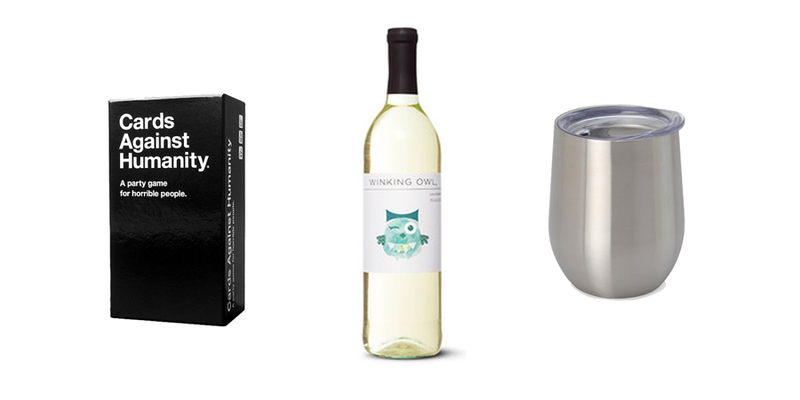 Winking Owl Moscato. I'd heard that Aldi sells this amazing moscato that's only $2 and it's some of the best moscato ever. I tried it out and I was not disappointed. Stainless Steel To-Go Wine Glass. This glass is the best. It fits a ton of wine in it and is insulated so it stays cold for a long time.